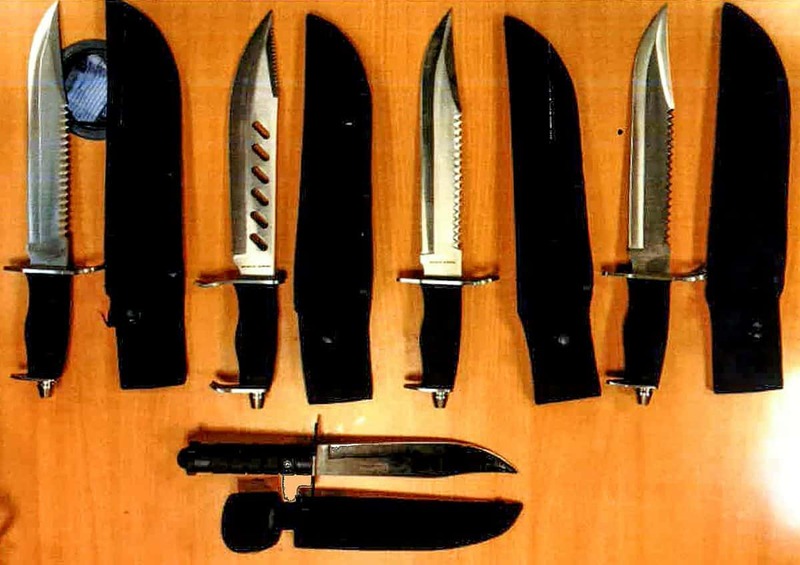 This is the shocking picture that shows the scale of knife crime as police found all five of these deadly combat knives being carried by just one 14 year old boy. Yet the teen escaped custody, instead being referred to a youth offending panel and being ordered to pay a £20 victim surcharge. The haul was revealed as two more teens stabbed in London and a teen gang, one only 15, are due to be sentenced for the knife murder of 17 year old Lord Promise Nkenda. The revelation comes as Home Secretary Sajid Javid unveiled knife crime prevention orders – asbo-style orders that could be used on children as young as 12, with measures such as curbing suspects’ use of social media to stop escalating gang tensions. Theresa May, as home secretary, led efforts to drive down the number of stops, amid concerns they unfairly targeted young black men and wasted police resources. But with evidence from police that young people are now more inclined to carry knives because of growing confidence they won’t be stopped, Sajid Javid and London Major Sadiq Khan have both called for a greater use of stop and search powers by police to tackle escalating knife crime. He was referred to Haringey youth offending panel for a 10 month contract and ordered to pay a £20 victim surcharge. The court also ordered destruction of the knives. A Scotland Yard spokesperson said: “We were initially called by a member of the public who had seen the male with a knife. “A stop and search followed by officers at around 2pm in Highbury Quadrant on Sunday 13 January. “A 14 year old male from Haringey was charged with five counts of possession of an offensive weapon. “He appeared on bail at Highbury Corner Magistrates court on January 29. In the year ending March 2018, there were around 40,100 offences involving a knife or sharp instrument in England and Wales – the highest on record. The average prison term for people jailed for carrying a knife has gone up from under five months to over seven months, with 81% serving at least three months, compared with 57% only 10 years ago. Public concern about knife crime and firmer guidance for judges and magistrates have led to stiffer sentences for crimes of violence, although offenders under 18 are still more likely to be cautioned than locked up. In the year up to June 2018, 20,113 people were cautioned, reprimanded or convicted for carrying a knife in England and Wales. One in five – 4,291 – were under the age of 18, the highest number for eight years. On the weekend we reported that with homicide at a ten year high too the Home Secretary finally admitted that the government has cut police officers by 21,000, in an interview with Andrew Marr in which the government were accused of reducing policing by 19%. Sajid Javid denied reports that youth knife schemes had been secretly cut and confirmed that a total of £22 million would be available for schemes to help children evade knife crime. 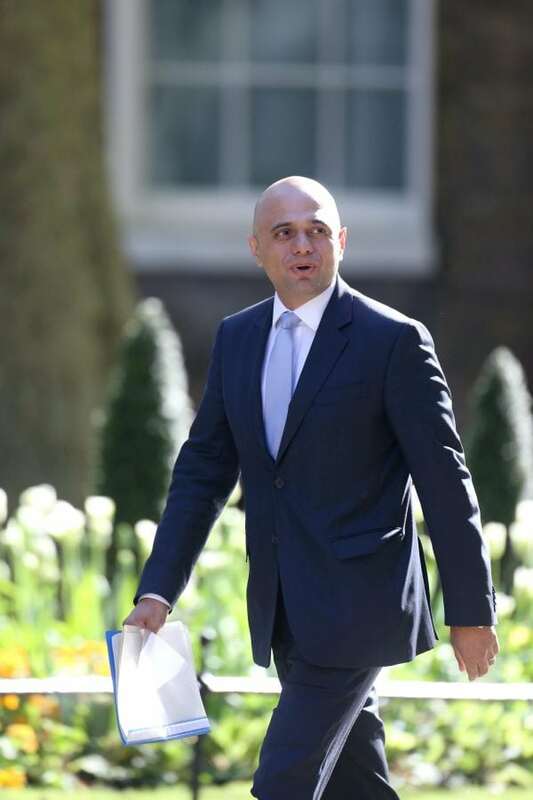 Javid also promised a cash injection of almost £1 billion for policing, though even that amount will not make up from the amount cut from front line policing over the past decade.